Crime solver, Samarra (Sam) Kirston, uncovers more than she bargains for in this light-hearted musically choreographed dark romantic comedy. With a melting pot of old world flavors and modern mixes, at center stage is the ageless Baron Warlov whose stunningly beautiful and talented daughters, all five of them, finally, convince their father to take them to Hollywood, so they can fulfill their theatrical destinies. As Sam's and Baron Warlov's paths cross, the story unfolds on a trail that leads to a full course of suspense and laughter. 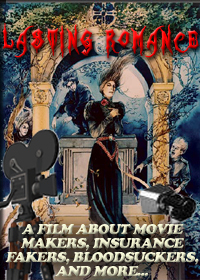 Lasting Romance is a vampire tale of love, daring, sacrifice, success, and behind the scenes movie making.